Easy pallet exchange to more hygienic or higher quality ones. Easy damage load recovery. Increased productivity and safety. Less manual handling. 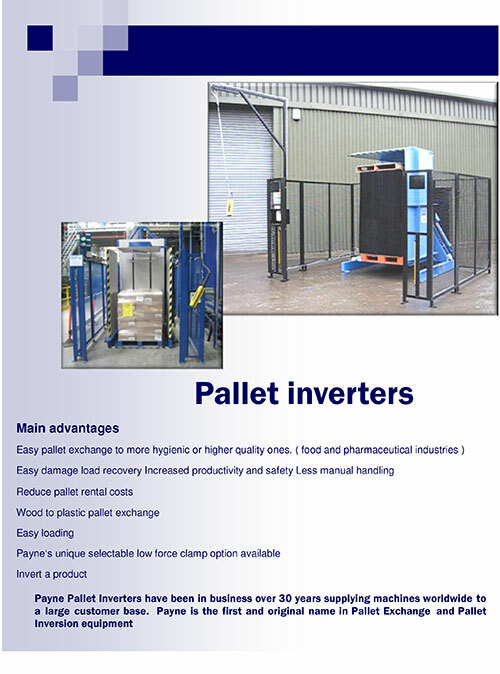 Reduce pallet rental costs. Wood to plastic pallet exchange. Easy loading. Payne’s unique selectable low force clamp option available.